Good evening, I am Bonnie, I live in the Texas City, TX. I am a wife, Mom and Grandmother. I am a business woman, the right-hand to my boss. We area temp service for truck drivers. I do job fairs, do payroll, recruit, process applications/orientation and meet with clients. 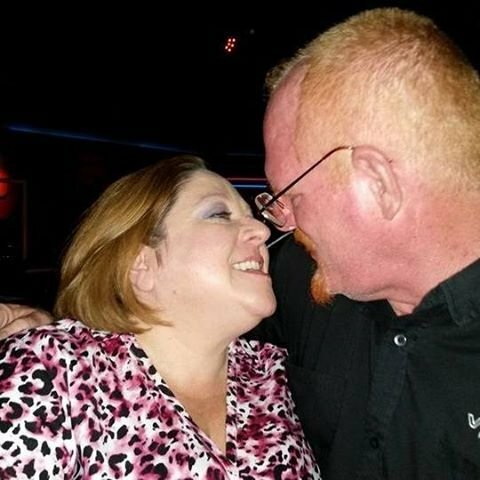 My husband and I enjoy motorcycle rides and rallies. I enjoy make-up, helping others bring out their best features. I had a Tanning/Nail Salon, for several years. I had my Manacurist Curist License for 12 years. I had to go back to Corporate America, due to issues outside of my control. I enjoy working out, cooking, makeup, time with my husband and my family and our pets. We also host get togethers with our family and close friends every other month, as a way of keeping in touch. Its important to "make time". Our youngest comes to dinner every other week. Well, it depends on what we are cooking. Sometimes he will come over and cook; okay more like grill! This is his way of coming over and spending time with the pets. "Your life is a Garden, make it bloom!" I have been using Garnier Nutrisse Ultra Color in Dark/Medium Brown. I love the conditioner it comes with. My hair is starting to discolor and it colors those problem areas wonderfully. I have to color about every two months or so. The smell is not harsh, which is a plus. I have been using Age Perfection Hydra Nutrition All Over Honey Balm... This stuff is awesome and I promise I saw a difference in a week. I am definitely going to be purchasing this product my Neck and Chest area have not looked this great in years!!! I have been trying to take pictures and was setting it up on my phone and may have hit something in error. However, I did receive today the L'oreal Age Perfect Hydra Nutriction All Over Honey Balm. It smells DEVINE!!! The Rose Tone Mask, I tested on my Lips and WOW!! I can't wait to use it all over my face. The Age Perfect Rosy Tone Moisturizer has a nice soft scent and it also has a "glow" on the skin. Can't wait to use them!! 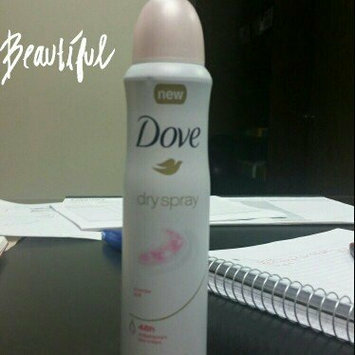 I received my Dove Dry Spray today. I sprayed my hand, it went on dry, feels like I have nothing on. The powder soft scent - is very nice, clean smelling. I will be using this tomorrow for sure! My mom always had this on her dresser. She said she used it on her feet. This is all I know about this product. Tell me more about it I have super dry/sensitive skin regular moisturizer does not really do it for me all the time. I used Ivory growing up and keep this on hand for the grandkids when they come. I did not know this comes in Lavender!! This would help a great deal to settle them down. They love it!! Everyone needs to use Pay Pal!! Great protection. Easy to use and its great to have back up to your credit cards. I love the lavender on my sheets and towels!! I use this on the dogs beddings and their towels too. our front door and she will go out front just to sniff. I think she is comparing the two.